The latest issue of Boom! 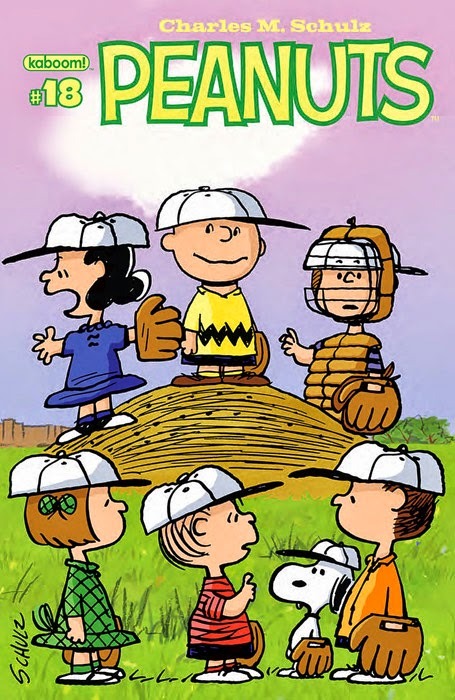 Studio's Peanuts comic book went on sale Wednesday, May 28. Issue #18 features the new stories "In the Shadows," "Dance Craze," "Steep Grade Ahead," and "Blind As a Bat" together with a "pull-out poster" (a two-page center-spread) featuring some of the original comic strips by Charles Schulz . You can peruse a 5-page sample at ComicBookResources. Find Peanuts #18 at your local comic book store, or purchase it directly from Boom! Studio's website.